From times immemorial, there are a few grains which have been considered super healthy and must eat foods. Even today these grains have secured their position as an important inclusion in our daily diet. One of them is our very own Ragi (also known as Finger Millet) from the family of millets. 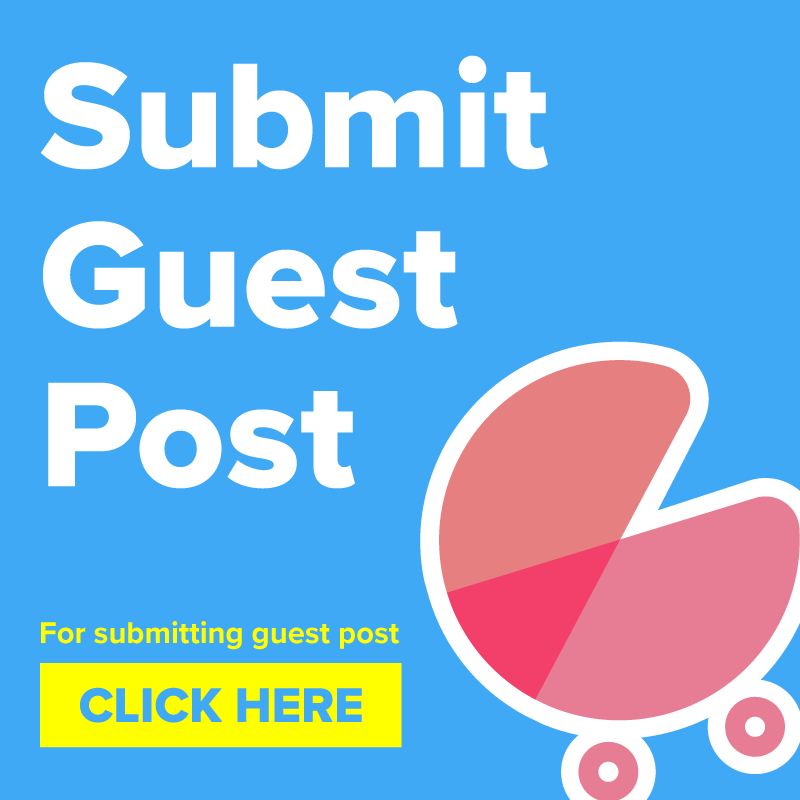 It is one of the most popular weaning foods for babies. Ragi can be easily incorporated into our everyday food and substituted with other ingredients. What if we could bake a cake for your little one without any sugar, maida, eggs or gelatin? Keeping in mind the health aspect, this recipe is sure to make you and your family indulge in cakes, totally guilt-free. To be introduced to your toddler after 6 months. Pre-heat the pressure cooker. Take 2 cups of fine salt or crystal salt. Dry clean the cooker and pour salt in the bottom of the cooker. Place a bowl in the middle, close the lid without the weight and keep the flame on medium. Take a saucepan, heat water and add grated jaggery to it. Keep mixing on low flame till it dissolves completely. Remove it from flame and keep aside to cool off completely. Take a mixing bowl and put ragi flour, wheat flour, baking soda and cardamom powder. With the help of an egg beater or a whisk mix the dry ingredients well. Take another mixing bowl and pour fresh yogurt, water and cooking oil into it. Whisk well. Mix the dry ingredients into the wet ingredients slowly and steadily. Add chopped walnuts to the mixture and mix well until everything blends well. Grease the cake vessel with butter or oil and sprinkle some wheat flour onto it. Pour the cake batter and place it in the bowl which is already kept inside. Close the cooker. Keep it on a medium flame for 5 minutes. Then, keep it on low flame for 35-40 minutes. Keep a watch on the cake every 10 minutes by pricking a toothpick or a knife inside the cake, to check if it is baked or not. When the toothpick comes out clean, it means the cake is baked. Switch off the cooker and take out the vessel. Allow it to cool and then remove the cakes slowly from the sides. 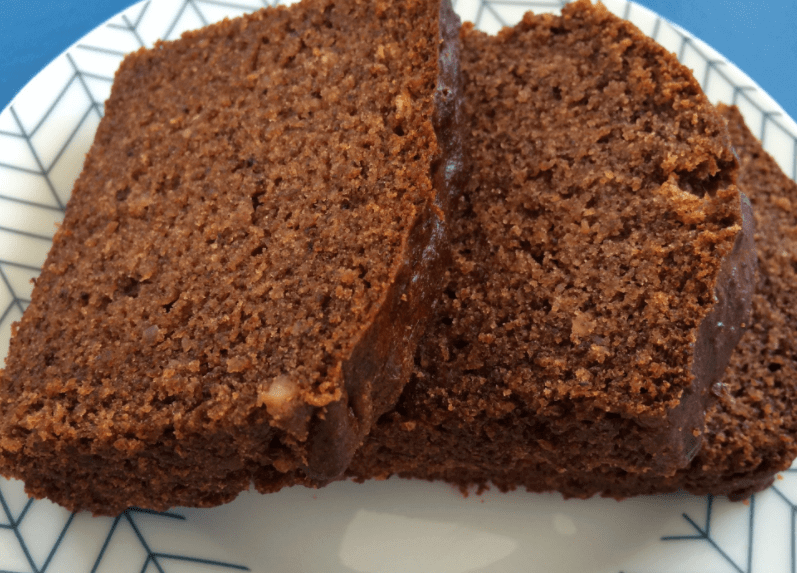 Ragi banana cake is ready to be served. Chocolate and Ragi, an unthinkable combination is now a reality. Kids and adults love chocolate, in any form. 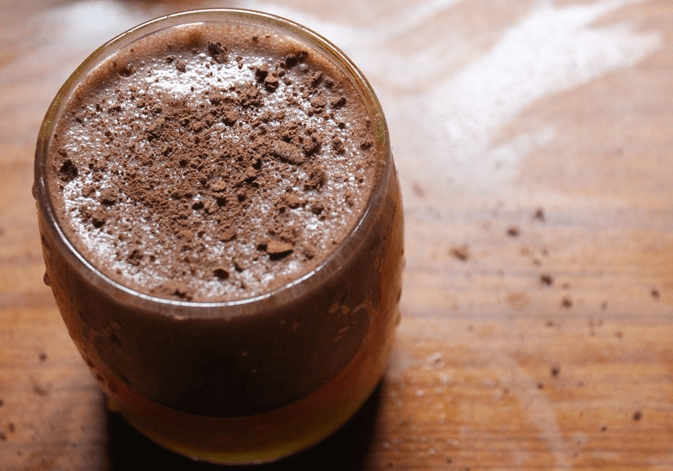 So here is a Milk shake with the goodness of milk, ragi and the fabulous taste of chocolate. The sweetness could be adjusted according to your requirement. This can be introduced after 8 months. Do not replace Ragi Chocolate milkshake with milk. Continue giving milk as normal. In a saucepan take 1⁄2 cup water, add Ragi flour, cocoa powder and whisk well with a whisker. Keep it on low flame and keep stirring until the mixture thickens making sure that there are no lumps formed. Once the mixture thickens, remove the saucepan and allow it to cool. In a mixer/juicer, pour the milk, sugar, vanilla extract and the cooled ragi-chocolate mixture. Pour into a mixer and blend well for a minute. 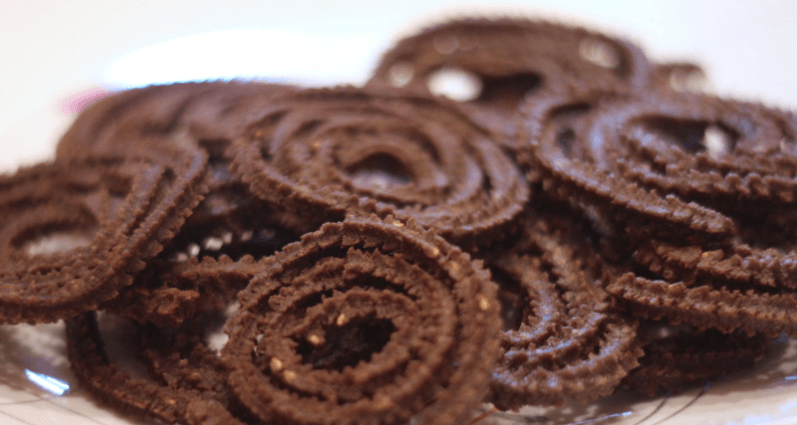 Murukkus are loved by one and all, a perfect combination with tea or coffee. The sight of them alone brings smiles on our faces. Here is how we can make lip-smacking murukkus even more interesting and appealing. Can be introduced after 12 months to avoid choking. Also, a great finger food to introduce self-eating to kids. Sieve ragi flour, rice flour, and urad dal flour together. Add ghee, salt, sesame seeds and knead it well till the texture becomes soft and smooth. Add water little by little to the dough and make it to the consistency of a chapatti dough. Take a muslin or a cotton cloth and cover the dough for 15-20 minutes. Take the dough and make 3-4 long and thick rolls out of it. Keep the star-shaped presser ready. Take a plate and keep it upside down. Place the dough inside the presser and make the shape of murukku. Pre heat the oil and keep it in a medium. Drop the murukku in the hot oil slowly one by one. Do not overcrowd the vessel, as murukkus might clash and break too. Wait for the bubbles to settle down, then turn the murukkus one by one. Be careful while turning, to ensure the shape of the murukku is not disturbed. When the color turns golden brown, remove them from the oil and place them on a paper towel. Now the tasty ragi murukkus are ready to be served. Parathas are anytime favorites; a unanimous choice for any meal, loved by all age groups. Wheat flour combined with ragi flour is a double bonanza for the kids. Stuffings made of paneer or vegetables of your choice, make Parathas more healthy. 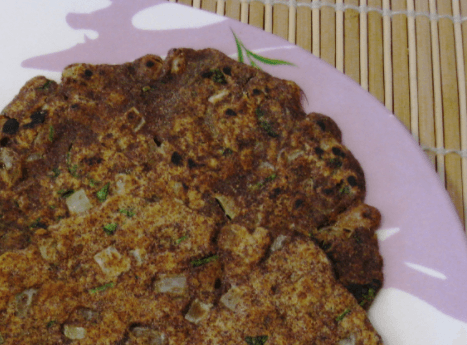 Parathas with curd is a fantastic combination & can be introduced from 9months onwards. Make sure the curd is served at room temperature & not cold. Make the dough with the above-mentioned requirements and make it to a soft consistency, by kneading in 1 tsp of oil in the last to make the dough non-sticky. Take all the ingredients fillings and mix them together, without any lumps formation. Take a small ball of dough and roll it slightly with the roll pin. Grease the dough and place 1tbsp of the prepared filling mixture and close the dough from all sides. Start rolling the dough gently so that the filling does not ooze out. Keep rotating the paratha so that it is evenly rolled on the circumference. Place it on the Tawa and cook it on medium flame. When half cooked, add oil/ghee/butter and turn the other side. Repeat the same for both the sides. When cooked, remove it and place it on the plate. It can be served with curd raitha and papad. Idlis are first few solid foods introduced to the child. 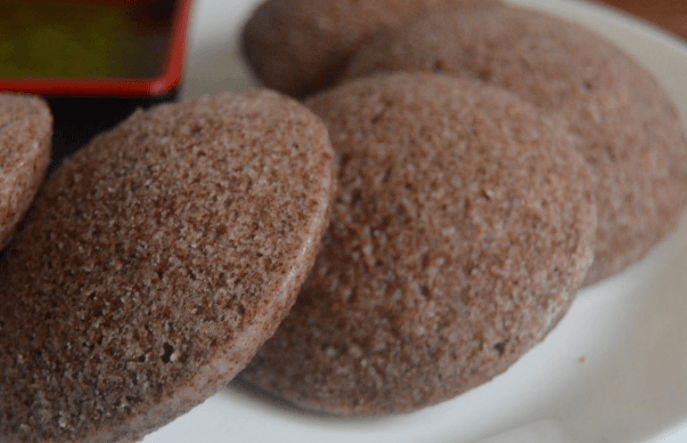 Ragi idlis are healthier than normal idlis. Once a child develops the taste for Ragi, you can incorporate this wonder ingredient in many dishes. 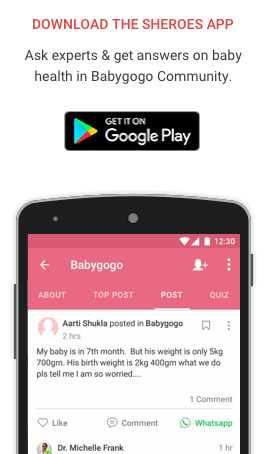 Can be introduced around 8 months. Since they are soft & easy to digest, they make great initial weaning foods. Wash and soak urad dal with methi seeds for 4-5 hours. Wash and soak Poha for 2-3 hours. Grind urad dal in the mixer grinder till it becomes smooth consistency by adding water little by little. Add in Poha and grind it again. Take ragi flour in a vessel and add water to make it a paste. Pour urad and Poha mixture into this vessel and mix it well. Keep it overnight to ferment. In the morning add a pinch of baking soda and prepare idlis as usual in the idle cooker. You can add grated carrot or beetroot if you wish to. It will take 10-12 minutes for the idlis to cook. Allow the ragi idlis to cool, then remove them with the help of a spoon. Serve them with coconut chutney or sambhar. 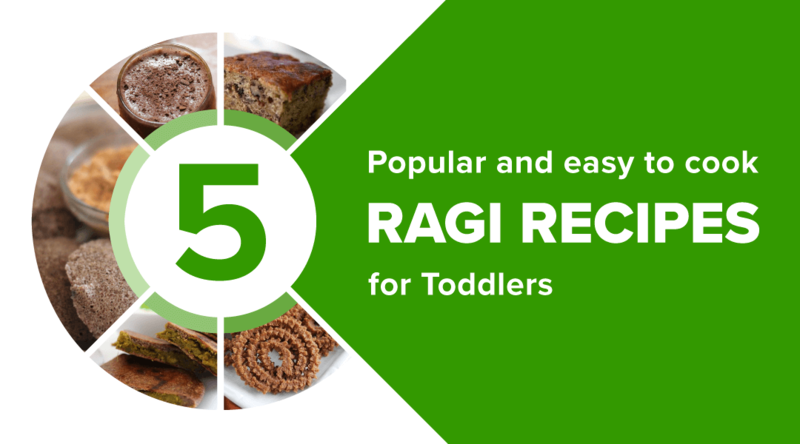 Do Share your feedback about did your Kid liked these tasty Ragi Recipes or not in the comments section below. For 50+ is ragi advisable & when is the suitable time?